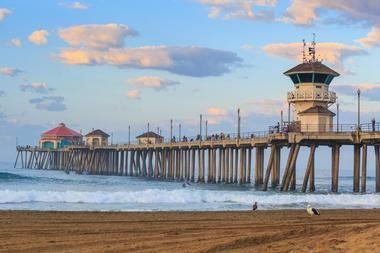 Huntington Beach, California, is a popular destination for passionate surfers, nicknamed Surf City, USA. The city’s 9.5-mile long sandy beach attracts millions of visitors year-round, and many have decided to stay, making Huntington Beach one of the fastest growing cities on the West Coast. 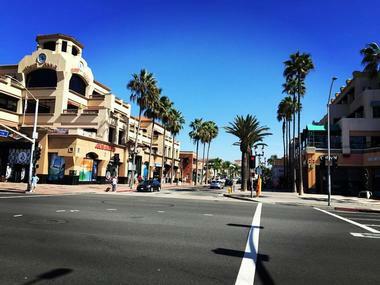 Huntington Beach, CA, has a unique beach town vibe that is half exciting and half laid-back, and all visitors seem to fall in love with it. 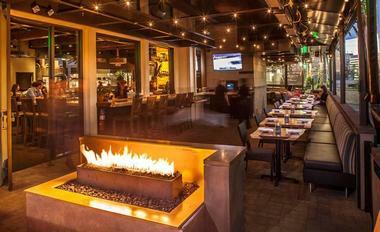 Here are the best things to do in Huntington Beach, California. If you keep walking from Main Street and cross the Pacific Coast Highway and the beach, you will end up at the Huntington Beach Pier, one of the top Huntington Beach attractions. The iconic heart of the city, it is a pier of indulgence - its only purpose is pure fun. It invites visitors to enjoy a stroll along its 1,850 feet that stretch all the way to the Ruby's Surf City Diner. It is the place where people come to watch surfers and where surfers come to meet their buddies and discuss the latest opportunities. The pier is also a favorite among fishermen, even young beginners who are learning how to cast a line from their grandpas. The magical sunsets attract hundreds of tourists every evening. The pier is so picturesque that few hardly think of its rough past. Built in 1904, it was destroyed by powerful storms on three occasions and once by an earthquake. Originally built entirely of lumber, it is now made of steel reinforced concrete protected by epoxy, and it can withstand almost anything nature wants to throw at it. 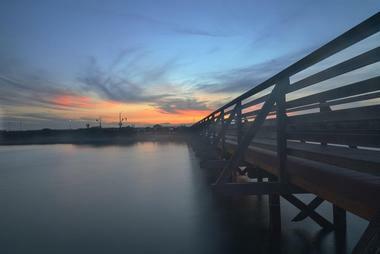 The pier is listed on the National Register of Historic Places. More California getaways. 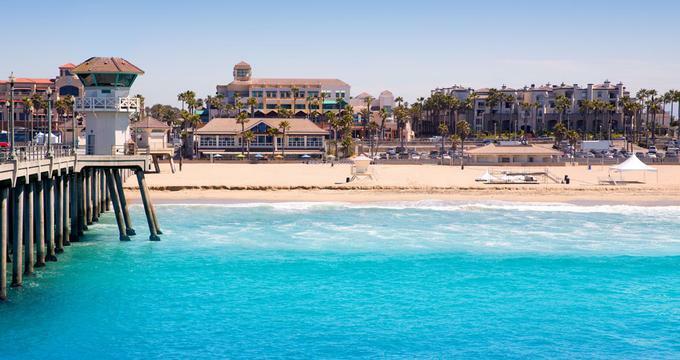 No other city besides Huntington Beach can say that their downtown consists of a pier and the best beach in town, great bars, fabulous restaurants, ice cream shops, nail salons, and fashion boutiques. 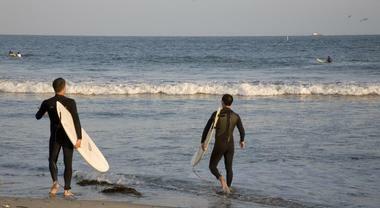 Downtown Huntington Beach is made for pleasure in the true spirit of Surf City, USA. If you are wondering what to do in Huntington Beach today, there is always something happening downtown, but on Tuesdays during Surf City Nights, the city really comes alive. Three blocks of Main Street are closed for traffic and lined with sidewalk stalls selling everything from farmers’ fresh produce to flowers and crafts. There is music and live performances of all kinds and even kids’ dances, bounce houses, and a pony or two. 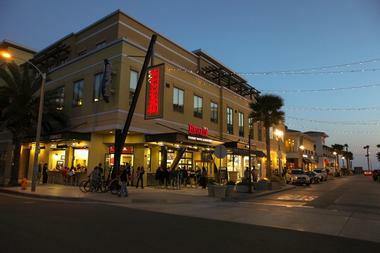 Downtown Huntington Beach is one of the best things to do in Huntington Beach, California. More California vacations. This state beach is located on Pacific Coast Highway, stretching for two miles between Beach Boulevard in Huntington Beach south and the Santa Ana River on the boundary with Newport Beach. Huntington is the most popular beach in town, and it’s a great place to spend a day surfing, swimming, fishing, taking a stroll by the water, or doing absolutely nothing in the shade of your umbrella. There are all sorts of facilities for those who cannot sit still and do nothing, from volleyball courts and basketball courts to hiking and biking trails. 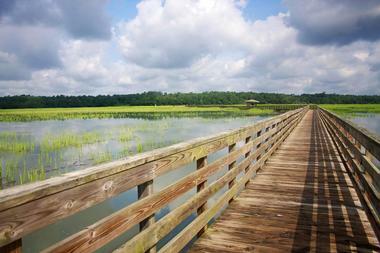 Huntington Beach State Park is one of the best things to do in Huntington Beach, California. A paved trail goes for 8.5 miles, connecting Huntington Beach and Bolsa Chica beach. Huntington State Beach is a popular surfing beach, especially in late spring, summer, and the fall, when swells come from the south to produce prime waves. Swimming is fun but the strong current and rip tides make it risky for non-swimmers. Fishermen love Huntington Beach, especially in the summer during Grunion Run, when large crowds enjoy catching fish with their bare hands. 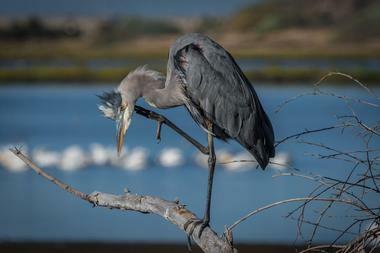 Bordered by Pacific Coast Highway on one side and residences and oil fields on the other, Bolsa Chica Ecological Reserve is a 1,300-acre coastal estuary with a range of habitats, from open water, mudflats, and salt marshes to coastal dunes. It was created as a sanctuary for migratory birds and wildlife and for the protection of the coastal wetlands and endangered species that call it home. Music lovers should look no further than the Huntington Beach Symphony Orchestra, which aims to deliver music to the community in all different styles and genres to suit a variety of tastes. To that end they deliver regular concerts throughout the year and also feature a youth choir. There is also a focus on education through music, and the orchestra runs a series of outreach programs with the aim of making music accessible to all. Aside from their educational endeavors, there are also events dedicated to providing information on all aspects of artistic processes related to music such as presentations on conducting. 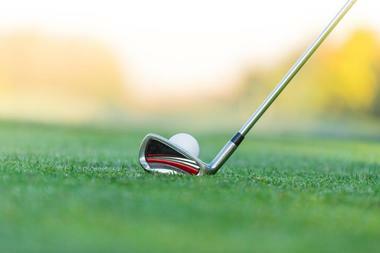 These events are great for those who want to dig a little deeper. Don’t let the fact that Bolsa Chica State Beach used to be known as “Tin Can Beach” back in the 1960s put you off the idea of visiting. Nowadays it’s famous for a whole range of outdoor pursuits that don’t involve cans of any kind, and visitors can enjoy surfing the perfect barrels that the waves in the area provide. 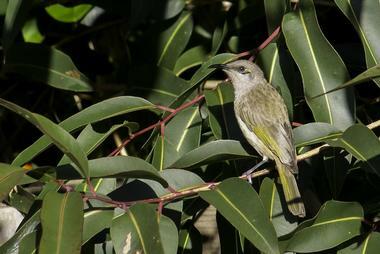 If you prefer gentler pursuits then fishing is a popular pastime at this beach as is bird watching. There are picnic areas available if you fancy a bite to eat, and you can work off your lunch by walking along a trail that skirts the beach for over eight miles. 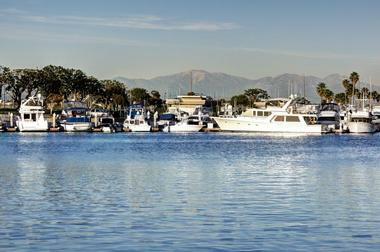 Nestled in a corner of Huntington Beach, Huntington Harbour encircles a cluster of five small islands. Within the harbor and running between the islands are small picturesque waterways that are overlooked by a bustling beachfront featuring dining and shopping options. Visitors to Huntington Harbour can charter a private boat for a tour of the canals, and the location is also popular with kayakers who can paddle the waters in a safe and relaxed environment. Due to the calm atmosphere there are plenty of opportunities to observe the local flora and fauna, and bird watching is a favorite activity in the area. You may well be forgiven for thinking that you have been transported to Venice, Italy after a gondola ride with Sunset Gondola. In reality, however, you will be floating serenely around the canals and islands of Huntington Harbor, piloted by fully trained and award winning gondoliers. You can bring your own food and beverages that will be prepared and presented to your specifications, while ice, glasses, and blankets are provided upon request. The gondolas are famous for having been imported from Italy, and special packages for events such as Valentine’s Day are available along with other romantic packages that include flowers and chocolates. 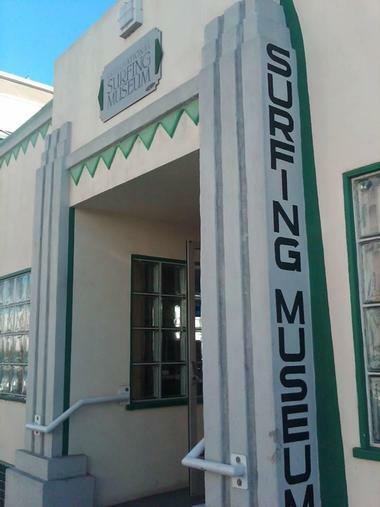 If you are curious to know about all things surfing related then be sure to stop at the International Surfing Museum. Their mission is simple: to impart the local love of surfing by taking visitors through the historical and cultural significance of the sport as well as showcasing rare and restored surfboards in their revolving collections. Particularly noteworthy attractions include pieces such as motorized surfboards as well as a whole wealth of other surf related memorabilia. It is also said that the museum is a great place to come if you want some insider tips on the best places to surf in the area. Sprawling over 300 acres, Huntington Central Park is the largest park owned by the state in the Orange County area and has a whole range of outdoor activities to suit all visitors. There are fire pits suitable for barbecuing as well as picnic areas and lush lawns perfect for playing games like Frisbee or simply relaxing with family and friends. A testament to the local community, the Shipley Nature Center was created in order to preserve the natural environment of the region of Shipley so that future generations could enjoy it in the years to come. The nature center spans 10 acres within Huntington Central Park and is intended as a source of education on the local flora and fauna of the region. Docents are available to answer any questions visitors may have. There are leafy spots where you can sit, and relax and you can also find trails, streams, lawns, and pathways. In addition, the center features different themed gardens, and visitors can either follow one of the educational programs available or opt for a self guided tour on one of the trails. 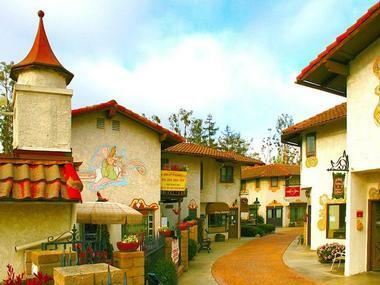 If you like your shopping and dining experiences to take place in an old world setting, then look no further than Old World Village. In operation since the 1970s, the village is designed with cobbled streets, giving it a period feel, and it has a wealth of shops, restaurants, cafes, and entertainment outlets to keep you busy. If you are looking for fun things to do in Huntington Beach, California with kids, this is a great place to visit. All the businesses are privately owned to provide an eclectic mix of venues and boutique experiences such as local handicrafts and gift shops. The village hosts events throughout the year such as Oktoberfest and even dachshund races if you want to witness something truly unique. For those interested in the history of the Huntington area, the Newland House Museum is a must-see. Built at the end of the nineteenth century and spanning over 500 acres, the home has been lovingly restored for visitors to enjoy, and it contains period memorabilia of the Newland family and their ten children. The area was also previously used as a farm to plant local produce, and there are tours provided for those wishing to see an example of how inhabitants of Huntington used to live in days gone by. 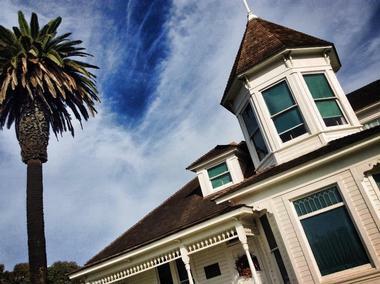 Newland House Museum is also famous for being the oldest home in Huntington Beach and is now under the management of the Historical Society. Quite simply, the Surfer’s Hall of Fame is a monument to all the great surfing legends who have made the voyage to Huntington to surf the crisp barrels the ocean here provides. 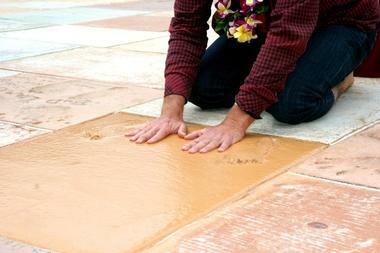 The Hall of Fame is modeled on Grauman’s Chinese Theatre in Los Angeles, and it has preserved the hand and footprints of surfing greats in cement. The location is also close to Huntington Beach Pier, also the home of the annual surfing championships, so the area is literally steeped in surfing history. There are even bronze statues featuring famous surfers in the region, so if you are a fan of the sport then this is sight not to be missed. Californians are famous for their love of dogs, but Huntington goes one step further. Huntington Dog Beach is a beautiful stretch of beach along the Pacific Coast Highway between 21st Street and Seapoint Avenue, and it is reserved for the fun and games of our furry friends. Their human companions are allowed only if they behave. 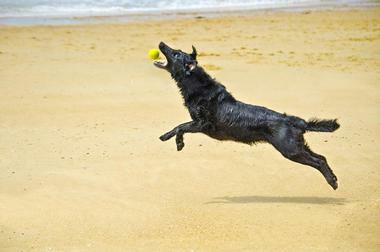 It is such a pleasure to watch all sorts of dogs running freely along the mile and a half of soft sand, charging the waves and hopping after Frisbees. It is also a great place for their humans to make some new friends or meet up with old ones, have a picnic on the grassy area with picnic tables, or just enjoy the simple pleasure of watching their best friend have such a great time. When you look at Ritter’s menu, it might seem like normal Cajun cuisine – cioppino, ettoufee, bouillabaisse, and jambalaya. But then you watch Chef Ritter working in front of something out of a mad scientist’s lab: six shiny metal kettles connected by a bunch of pipes, rising steam, flavors wafting in the air – it’s a modern witch’s brew incarnate. That is what Chef Ritter calls Steam Kettle cooking. It’s a strange looking contraption, but it cooks its contents quickly, and the results are absolutely delicious. All the flavors blend together at high temperatures, producing fragrant stews with rich gravy and a unique, yummy flavor. If you are not in the mood to experiment, go for their shrimp po’boy, which is excellent and so are the raw or baked oysters. The restaurant itself is spacious but unassuming, with nothing to distract you from the main attraction: the awe-inspiring steam kettles. 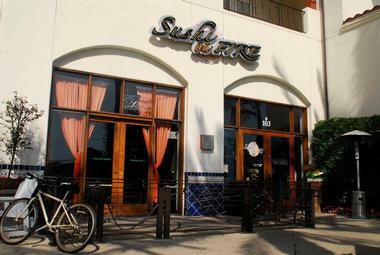 Solita might sell traditional Mexican street food, but it is not a street cantina. Solita is a sophisticated, beautifully decorated Mexican oasis with bright sunny colors, lovely décor, and a spectacular outdoor patio. Custom wood tables and comfortable banquettes offer cozy seating for those who like to linger over bold margaritas and delicious tacos. The smell of the wood grill, fresh herbs, and garlic meet you as you walk inside and prepare you for outstanding authentic Mexican food with fresh, local, seasonal ingredients and home-made salsa made from tomatillos and Mexican beer. Their large selection of inventive tacos will surely make you a devoted fan of Mexican food. Try the chorizo, sweet potato and bacon taco plate. It is hot, so make sure you have enough beer or water to douse the fire. You will feel the spirit of Aloha when you come to the magnificent Duke’s restaurant on the very edge of the surf in Huntington Beach. Only a wall of glass separates diners from miles of sand and an endless expanse of ocean. Named by legendary Duke Kahanamoku, the Hawaiian athlete who brought surfing and the Aloha spirit to Huntington, this lovely beach restaurant offers the best Hawaiian traditional dishes with fresh fruits of the sea and offerings from the fields of California. Focused on fish and seafood, Duke’s menu is diverse and inventive. You will find delights such as Tahitian shrimp, crab and macadamia nut wontons, and fresh Ahi sashimi. They have a variety of macadamia nuts in all incarnations. 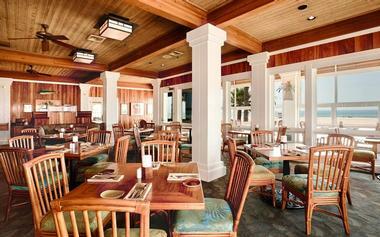 If you come for afternoon cocktails, Duke’s Barefoot Bar with its beach location will treat you with colorful tropical drinks with or without alcohol and many of Duke’s regular menu items. If you are looking for laughs in the Huntington Beach area then come to the Surf City Comedy Club. 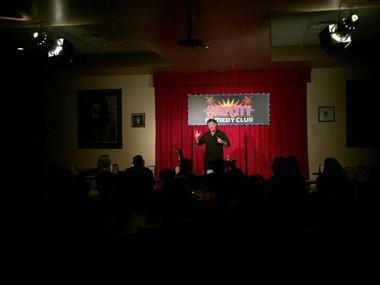 The club features well-known local comedians as well as new talent, and they have a new line up every Saturday night for those who fancy sipping a few beers as they listen to some jokes. Food and drink is available at the club so you can also dine at the venue, and tickets can be purchased online ahead of time. Note that seating is on a first-come, first-served basis so arrive early to get one of the best spots to watch the show. Bruxie serves unique waffle sandwiches that utilize a thinner version of a traditional waffle so that they can be folded and stuffed with interesting fillings. The waffle sandwiches, named in honor of the Belgian city of inspiration, come in a diverse assortment of flavots: Carolina barbecue chicken, avocado and bacon burger, or hot pastrami and Gruyere. Not to worry, you can still get your waffle aka Bruxie with mixed berries and cream or a classic with a sprinkling of powder sugar. Besides Huntington Beach, Bruxies are being sold in five other Bruxie shops all over California. Sushi on Fire is a lively restaurant on Main with customers who are willing to wait for half an hour or more to get their sushi fix. The spacious restaurant is dominated by the sushi bar where a group of sushi chefs are frantically mixing and rolling ingredients, concocting a number of dishes you would not expect to find in a Japanese restaurant, such as sushi tacos. They call their fare “sushi fusion,” so expect inventive and imaginative sushi that is remarkably delicious even if it mostly caters to the Western palate. They serve great hot sake and a few other Japanese dishes, but the huge sushi menu is so tempting and the names are so curious (Hello Kitty sushi!) that it is difficult to not want to try new things. Their fish is super fresh (just off the boat), the atmosphere is fun, and the restaurant is located in the middle of the shopping district, making Sushi on Fire a great place to stop for lunch or dinner. Aimed at all age groups and visitors from couples to families, Bella Terra, a self-styled beach town and a shopping and entertainment venue located at Beach Boulevard, offers something for everyone. Aside from an entire host of shopping opportunities there are also a range of restaurants to choose from, whether you are looking for a romantic dinner for two, or a quick bite with the family. Once you are finished shopping and dining, you can check out the theaters and live entertainment shows throughout the year, or you can simply wander through the gardens and fountains or hang out in the amphitheatre.